Need more information about booking Home 7327251 ? Beautiful apartment in front of the Playa de San Juan. Direct access to the beach, well connected and very próximos.Acceso all kinds of services for the disabled. Very well equipped. Swimming pool, tennis court. Fantastic terrace of 35 meters overlooking espectaculares.Decoración with art contemporáneo.Tres bedrooms, two bathrooms and gallery. Full Kitchen: oven, microwave. Washer gallery (website hidden), DVD, Radio-CD. Bed linen and towels. Public transport: Bus and tram walk home. ideal for enjoying the sea and the holiday atmosphere with numerous options to enjoy a perfect holiday area. Coming attractions for excursions: Altea, Tabarca, Benidorm, Terra Mitica, Castilllo Santa Barbara. 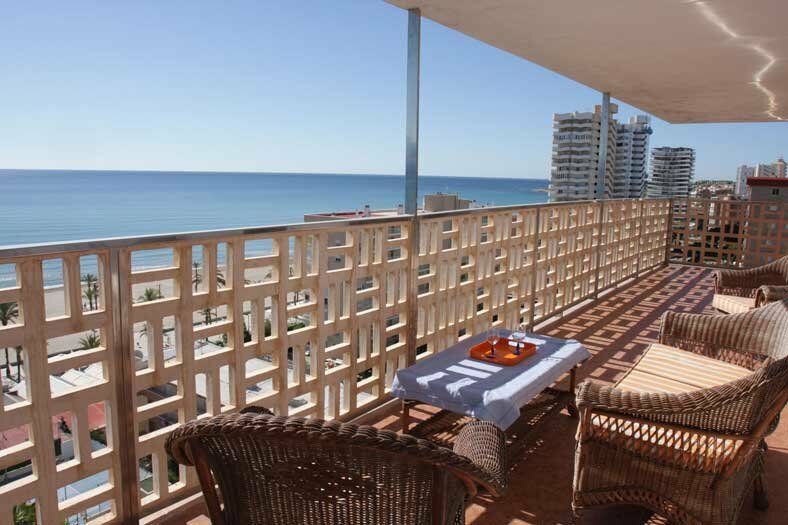 In short it is an apartment with exceptional views to enjoy the sea and pool, and with easy access to many attractions. You can get in touch with Carlos (the owner) through the contact form on this page. Send Carlos (the owner) an email through the contact form on this page. Alternatively, if there’s a phone number on this page, you can call them. How do I contact Carlos (the owner)? If you’ve already booked, go to Manage your holiday booking to view Carlos the owner's contact details or send them a message. Or send Carlos (the owner) an enquiry through the Contact the owner/manager form if you’d like a quote or more info first. When you pay online through the Book your stay form, a booking request is sent to Carlos (the owner). You’ll find out within 24 hours whether they’ve accepted - no money will leave your account before then. You can also request a quote from Carlos (the owner) through the contact form. The owner will email you the total cost for your dates and a link to book and pay online. Use the Book your stay form to pay provisionally online. You can pay by credit/debit card or PayPal. Carlos (the owner) will have 24 hours to accept the booking and no money will leave your account before then. Why can't I call Carlos (the owner) before booking? You’ll need to contact Carlos (the owner) to do this. Send them a message in Manage your holiday booking or through the contact form on this page. You can request to change the dates or number of people on your booking via the Manage your holiday booking page. To change your holiday dates use the Edit booking button. If you need to change the number of guests staying then send Carlos (the owner) a message. If Carlos (the owner) agrees, they’ll send you a revised quote outlining the changes. You can review and accept/decline this from the Manage your holiday booking page. You’ll have 48 hours to take action before the revised quote expires.